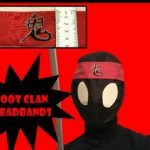 Time to kick it old-school style! 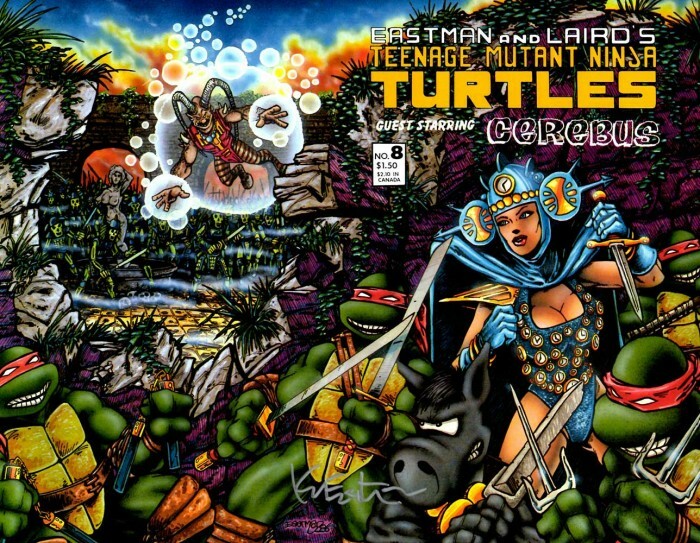 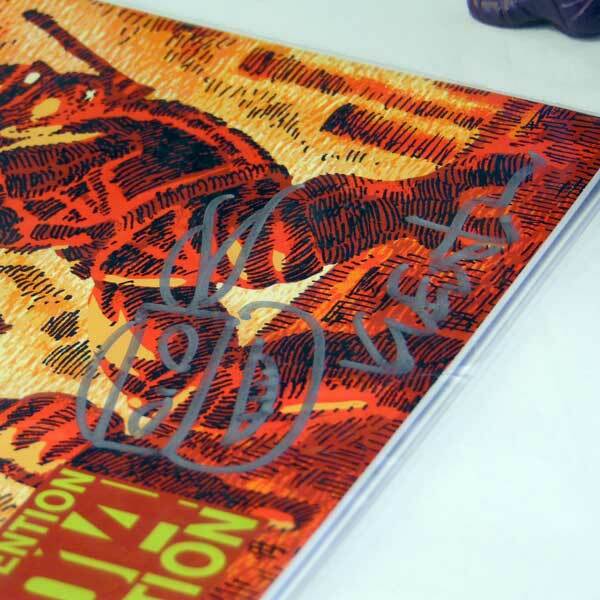 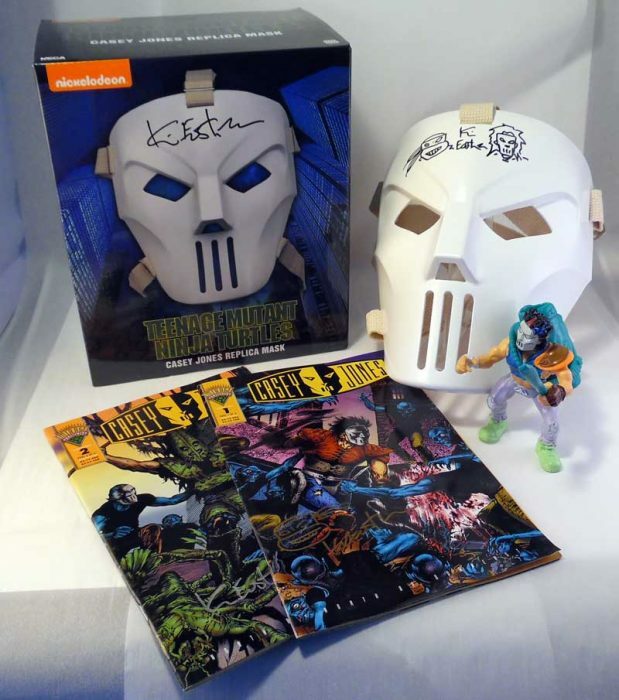 This unique COWABUNDLE includes a SIGNED set of the 2014 NECA New York Comic Con Exclusive Variant toy set featuring Shredder and his Foot Clan minions, a SIGNED copy of the 2014 special IDW reprint of the first issue of TMNT AND an original 1988 soft head Shredder also SIGNED and packaged in Kevins Personal Vintage Radically Rearranged Reptilian TMNT Toy Collection Clam Shell. 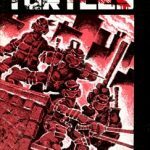 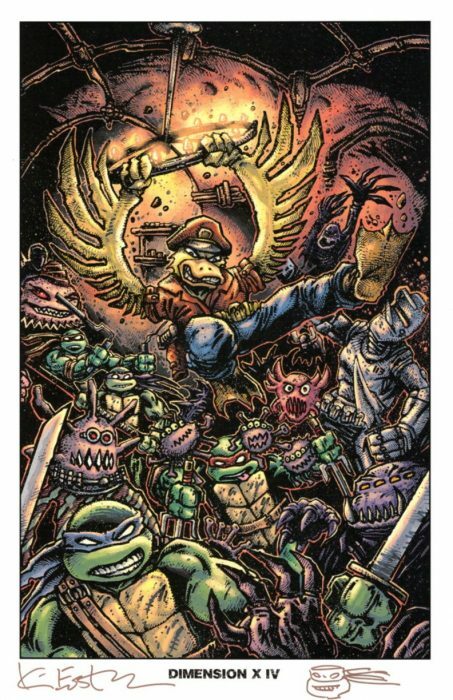 Boxed set details: The villainous figures in this NYCC-exclusive box set are based on the original Teenage Mutant Ninja Turtles comic books by Kevin Eastman and Peter Laird. 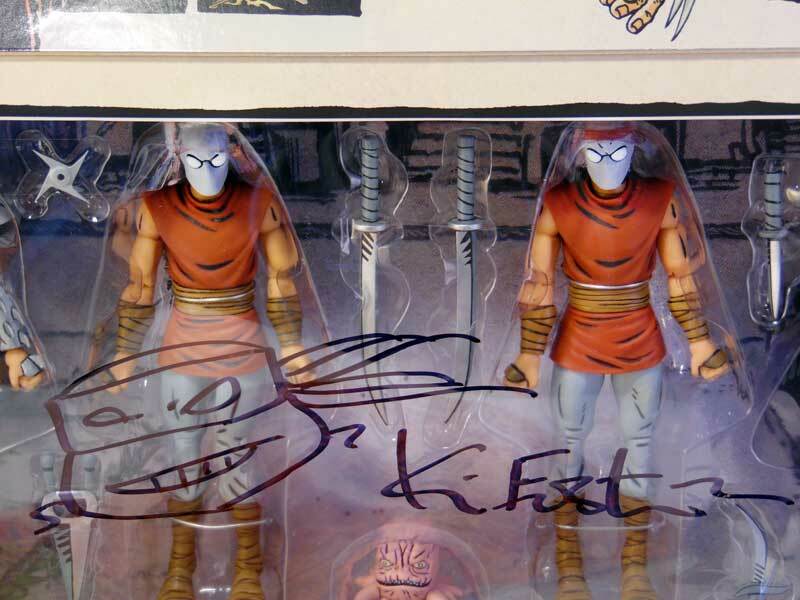 This set has been over 8 years in the making, and features brand new figure sculpts and deluxe packaging. 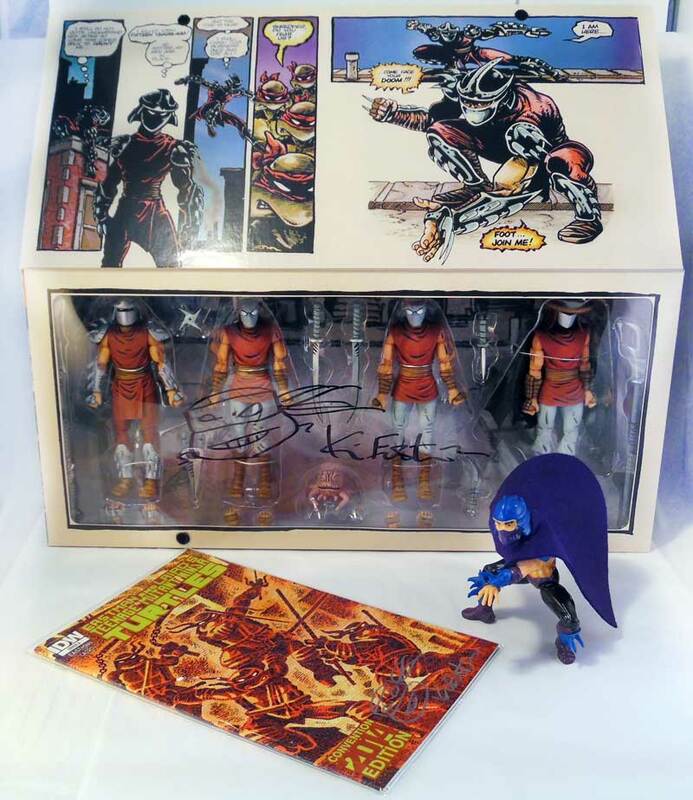 Shredder and his Foot Clan minions stand approximately 6” tall and feature over 30 points of articulation, including double knee joints, for dynamic poses. Special paint deco reflects their comic book appearance. 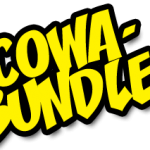 The box set is packed with accessories, including swords, bladed weapons, throwing star, Utrom mini-figure and more. 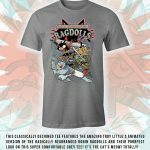 The set comes in a gorgeous, display-friendly 5th panel window box that features comic book art! 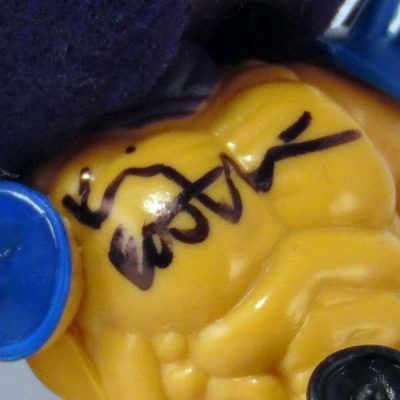 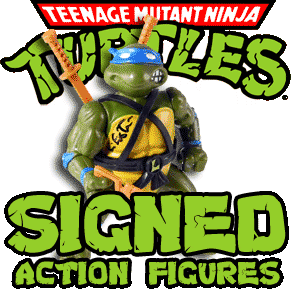 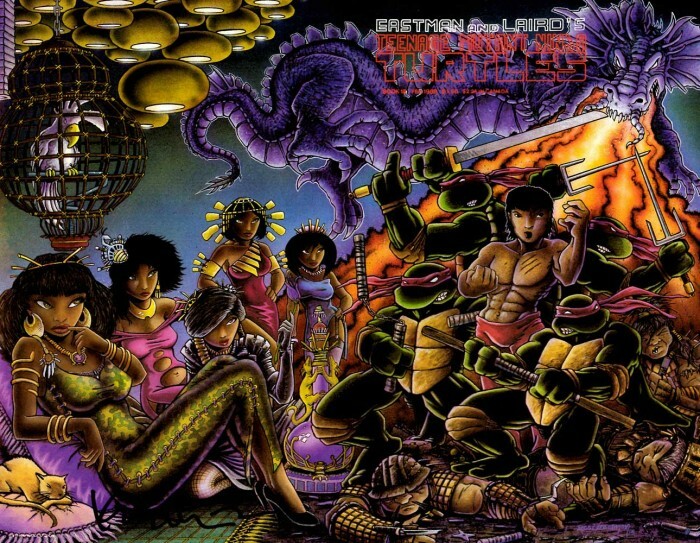 1988 Shredder: Part of Kevins exclusive line of signed TMNT Action Figures. 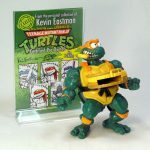 This soft head Shredder was owned and played with by Kevin and packaged in his exclusive Personal Vintage Radically Rearranged Reptilian TMNT Toy Collection Clam Shells!